"swordsmen, assassins, martyrs and death-defying fanatics ... tragic men who defy authority and the establishment": Jimmy Wang Yu as the eponymous hero of Chang Cheh's The Assassin (1967). An icon of anti-authoritarian revolt for the counterculture? "The 60s and the 70s were the most energetic periods of Hong Kong – the period when young people exerted themselves. The age of love tales was past. The masses were striving ahead in a rebellious mood and the colonial administration was receiving a shock to the system ... The martial arts pictures represented this spirit of the times. 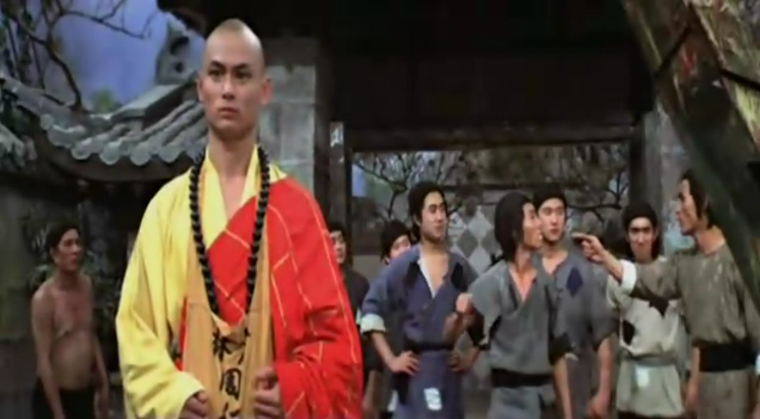 After I made The One-Armed Swordsman (1967), riots broke out in Kowloon. Then, during the riots, I made The Assassin (1967). In an [sic] Ming Pao Monthly article published on May 1968, titled 'Hong Kong's Anti-Establishment Movies and the Mass Movement,' Law Kar wrote: 'Zhang Che's movie characters are young swordsmen, assassins, martyrs and death-defying fanatics. His heroes are tragic men who defy authority and the establishment.' At the time, people called my movies 'violent', and 'bloody'. I always thought this was a very shallow way of looking at my movies." From Chang Cheh's essay, "Creating the Martial Arts Film and the Hong Kong Cinema Style," in The Making of Martial Arts Films: As Told by Filmmakers and Stars (Hong Kong: Hong Kong Film Archive, 1999). Chang Cheh was one of the key directors who transformed the martial arts genre in Hong Kong cinema during the late 1960s, pioneering the "kung fu" film. It's interesting to see him contextualise his practice in this way, considering that he is often counted a cultural conservative, with politics far from the radical left.